It's been so long since I last posted on my blog. I was on hiatus because of so many issues going on with Leader. I kept mum about it. 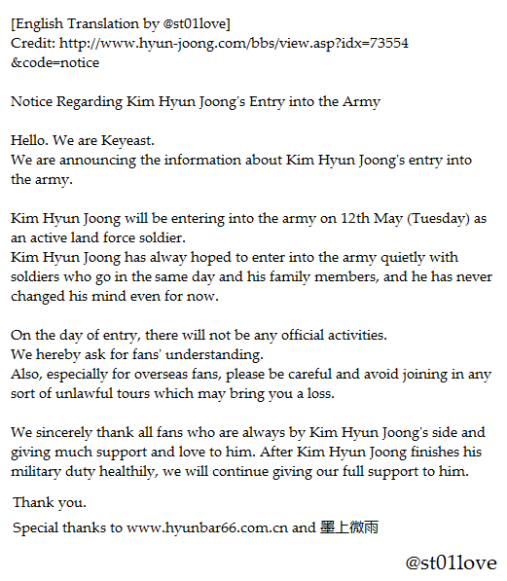 However, I'd like to share the news about him entering the military next week. Yes, it has been confirmed already. Not just a rumor but it is true. I hope he'll be able to enter, leaving all the critics and problems behind him. He must concentrate first on serving his country being as a citizen of South Korea. I hope when he finishes his service, all issues has come to an end. I understand his decision of entering in a quietly manner, let's respect that. 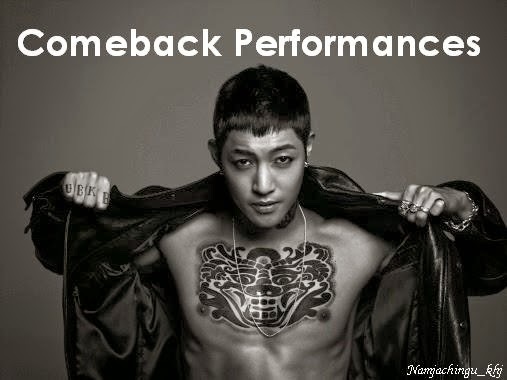 We will be waiting for your comeback Leader! 아자아자 화이팅 김현중!! !